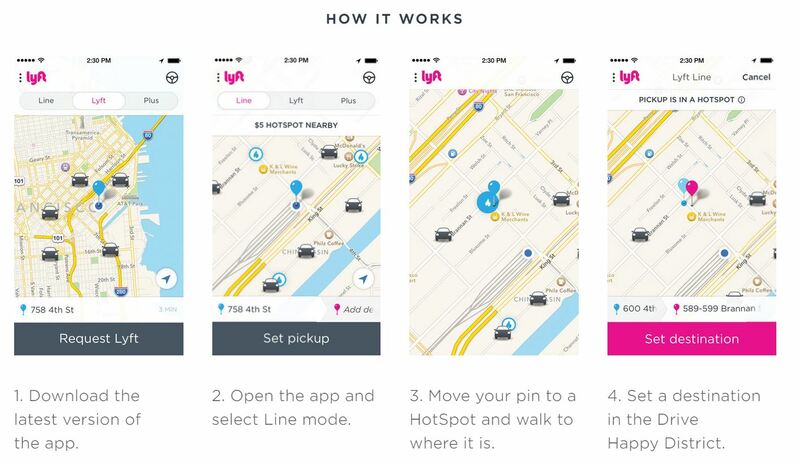 With “HotSpots”, Lyft continues to find ways to make their car sharing service less-expensive and more accessible. $5 rides from over 100 HotSpots. That’s some good math. 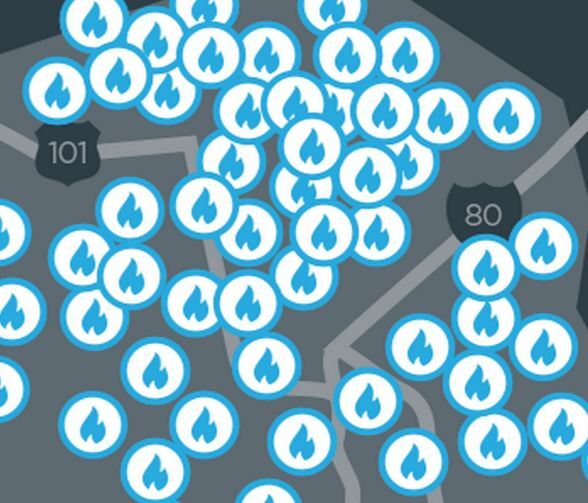 “HotSpots” is a feature only available within Lyft Lineand was released a couple months back. As you know, I prefer Lyft over Uber and I’m already a big fan of reasonable rates offered up by Lyft Line, so I am excited to save more money where Lyft has determined an area where there’s a high concentration of drivers. A Lyft HotSpot is an intersection within Lyft’s “Drive Happy District”, basically parts of the city that have a lot of Lyft drivers in the immediate area. When the service started with a few hotspots, it was only $3 a ride. 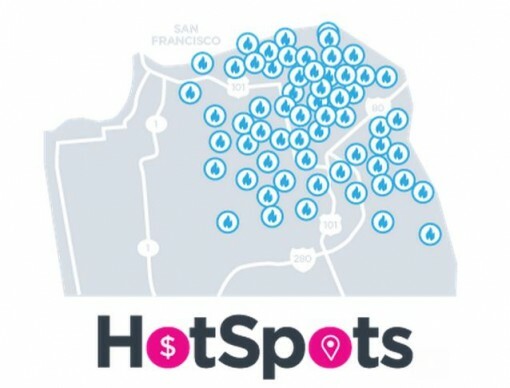 Now with over 100 HotSpots in San Francisco alone, the rate is $5 flat. In order to get the $5 rate, the ride has to originate at a predetermined HotSpot intersection and end somewhere in “Drive Happy District” to qualify for the five buckaroo. As of this post, the boundaries of the “Drive Happy District” is east of Stanyan Street and north of Cesar Chavez Street. Lyft ‘Line’ will save you boatloads of money during Primetime Slanging and Slogging: Why you should care about Uber’s business practices Can Lyft Line eventually challenge public transportation?